Powered by V6 and V8 engines, the boldly styled Lexus RC hosts four in a high-quality interior. Available with AWD in RC350 trim, the V8 transforms the RC-F into a modern muscle car. 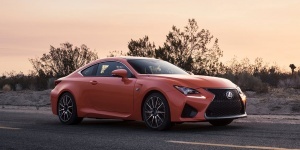 The Lexus RC was introduced as an all-new model for the 2015 model year. Find the used Lexus RC of your choice from a dealer in your area. Search our used car listings now.